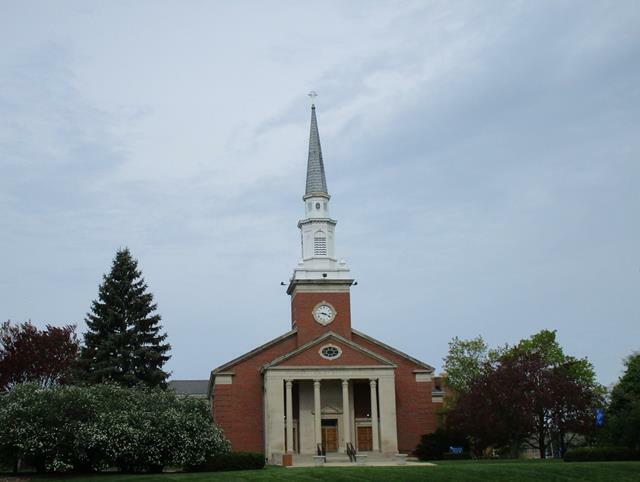 Hammerschmidt Chapel is on the west side of the Elmhurst College campus. the best parking and the chapel. Visit our FAQ page to learn more about the chapel’s accessible entrance, seating, etc. The best parking is in a large lot along the north side of Alexander, a block north of Hammerschmidt Chapel. There is also parking behind Hammerschmidt Chapel, with additional small lots on the north and south sides. Accessible parking near the chapel is limited, but you may pull up and drop off passengers near the accessible ramp and entrance on the north side of the chapel. See concert info page for more information.